We were visiting the Gitterman Gallery in New York last year and Tom Gitterman introduced us to one of his artists, Stanley Greenberg. 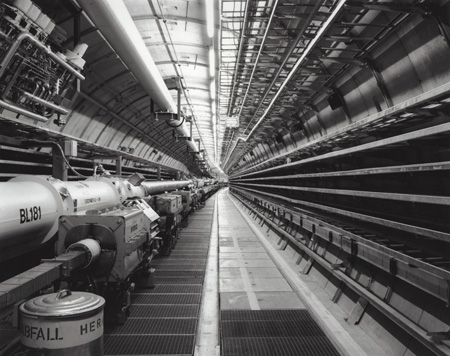 On the table were an array of images for the future ”Time Machines” book … striking Black and White shots of particle accelerators Stanley had been photographing over several years. Now the back story on the project and its funding is documented in an article found in the current issue of PDN. When Stanley Greenberg decided to use Kickstarter to raise the $13,000 he needed to pay for the printing of his new book, Time Machines, he had a finished project to show potential donors.